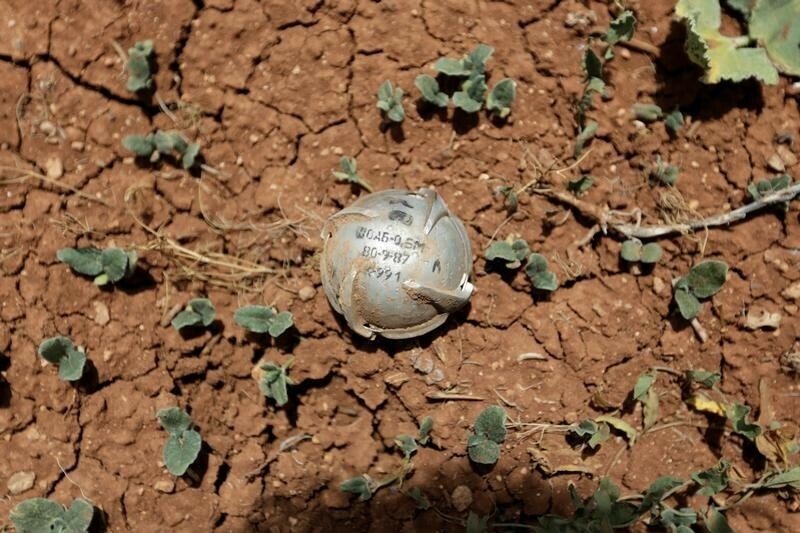 LONDON (Thomson Reuters Foundation) – More than 155 financial institutions have invested billions of dollars in companies making cluster bombs, weapons which are banned under international law because of their impact on civilians, a pressure group said on June 16. The firms invested more than $28 billion in seven producers of cluster munitions between June 2012 and April 2016, according to a report by PAX, a Dutch campaigning organisation. Cluster munitions explode in the air and scatter smaller “bomblets” over a huge area that detonate when stepped on or picked up. They leave behind large numbers of unexploded ordnance which can kill or maim civilians long after a war has ended, and have been used recently in Yemen, Sudan, Ukraine, Libya and Syria. “It is an absolute outrage that financial institutions are investing billions into companies that produce weapons which are banned under international law,” said Suzanne Oosterwijk, author of the report. “It is time for financial institutions to stop disregarding the international norm,” she said in a statement. The weapons are banned under the Convention on Cluster Munitions, which has been signed by 119 states and came into force in 2010. The majority of firms named by PAX – which include banks, pension funds and insurance companies – are from countries which are not party to the convention, including the United States, China and South Korea. One of the largest of these is U.S.-based JP Morgan Chase which invested $1.17 billion, according to the report. JP Morgan officials declined to comment. Twenty firms named by PAX are from countries which are party to the convention – Canada, France, Germany, Japan, Spain, Switzerland and Britain. Barclays, one of the British-based firms named in the report, has a policy that “explicitly prohibits financing trade in, or manufacture of, landmines, cluster bombs or any equipment designed to be used as an instrument of torture”. PAX said another British-based firm, Old Mutual, owns or manages shares worth $9 million in Hanwha, a South Korean corporation which makes cluster munitions. A spokesman for Old Mutual said Hanwha has four separate companies, two of which do not produce munitions. “We have checked our records and we only see holdings in Hanwha Chemicals which is focused on plastics and batteries and does not produce any munitions,” the Old Mutual spokesman told the Thomson Reuters Foundation. The report also named 84 financial institutions which have put in place policies that end investments in cluster munitions producers, up from 76 in 2014, when PAX published its last report on the issue.